We are a breeder of Pugs with top class pedigree lines in the picturesque Ellendale Valley, Tasmania. 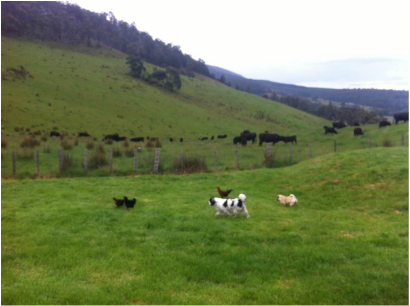 Our dogs live in a home environment and love spending time running around in the paddock. We breed for lovely, happy personalities and good health. If you are interested in a pug puppy as a new addition to your family, please head to our Contact Us page to get in touch. Or visit our Facebook page, where we regularly upload pictures of currently available puppies.